carried out the architecture and interior design of this pristine beach shelter located along the Pacific Coast in Guerrero, Mexico. Constructed in 2013, this fabulous pad features a center volume that interconnects with its surrounding spaces. 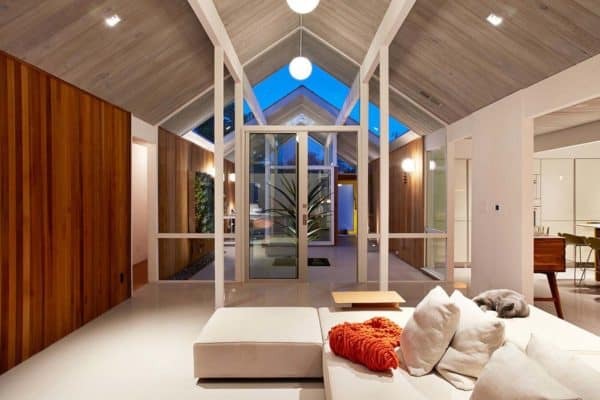 The premise to the design of this project is to encourage an indoor-outdoor lifestyle. It’s exterior facade is surrounded by lush vegetation and pathways that meanders around the home, connecting the spaces. What We Love: This amazing beach shelter showcases a tropical design centered around modern, yet natural finishes. The indoor-outdoor connection works well in this environment, where fresh ocean breezes can naturally ventilate and cool the home. 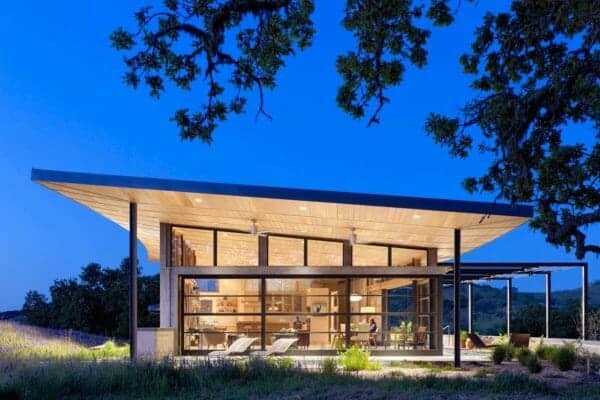 We love how the pavilion design creates a more scalable home that is not overwhelming to the eye. It also helps to separate the public and private spaces, catering to the lifestyle needs of the homeowners. Readers, what are your thoughts on the design of this home? Any notable features that you find intriguing? Anything you would change? Please let us know in the comments! For the design of this beach shelter, the architects utilized the most natural materials possible. This included poured concrete for the flooring, consisting of a combination of the sites varying types of sand. The completed result of this project is a home that relates to its natural environment. 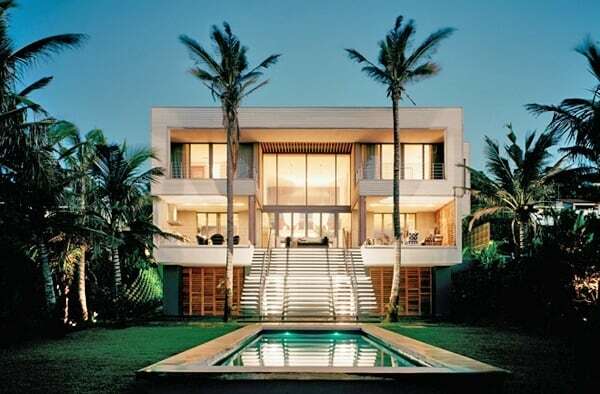 Its design reflects a tropical aesthetic surrounded by lush vegetation and a coastal environment. The living and dining areas overlooks a private beach along the Pacific Coast. It is the heart of the home, where the homeowners spend a lot of their time lounging and entertaining. The other living zones are connected from this space, consisting of rock blocks mixed with wood and a roof of palm leaves. A natural aesthetic that connects the home to its site, infusing the spaces with added warmth.